I have decided to resurrect this Blog and return to writing, something I have not touched in quite some time. Pages have been updated and mission redefined. Life has changed and I have grown quite a bit in the 3 years since I last posted. Summer is a time for me to slow down and let thoughts simmer, process and boil over. Summer is a time of housecleaning inside the soul, tackling put off projects, taking time for myself, reevaluating goals and life plans. The person I was in May was tired, grumpy and not nice to be around. I had a huge resentment and a chip on my shoulder for many reasons that are not worth the energy to think about or discuss. In review of the emotions, actions and thoughts inside of me at the end of the 2016-17 school year, I have learned quite a bit about me and have committed to never be in that place again. It is now July 1 and I am finally finding me again, the person who enjoys being outside and active, who enjoys her home and island. I have been doing the things I love (writing, reading, meditating and exercising in nature) first thing every day, then tackling obligations I have to other people/organizations. Taking care of me first, has to be a habit that continues into the 2017-18 school year. Sue Cooper, author of the book Millionaire in Flip Flops, simplified it. Her writing is about business development, yet the principles have led me to a deep paradigm shift in how I perceive the academic world . Education is a people business. The heart of what we do is in our relationships to the people we work with and for. We, as teachers, are creative entrepreneurs, when we come together, through relationships, sharing our practice with each other, students and the community, we are a force to be reckoned with. It is through the relationships we have with ourselves, the people we work with and our “customers”-students, families, community, in that order, that we are successful as educators. If we cannot take care of ourselves first, then our students “customers” will not thrive in the nurturing environment we are striving to create. Imagine a school, classroom, college…… where the first thing each of us does each day is care for ourselves, become centered on our purpose or goal for the day, set a personal intention for the day….. When we come together with that energy what will happen? for ourselves, our coworkers, our students, our school community? The half way point of summer has been reached. This year I choose to stay close to home and enjoy the paradise of the island. I have accomplished the art of living with the sun. Going to bed when it is dark and rising with the sun. The biggest joy of the summer is being part of the development of our Monroe County Special Olympic SUP (Stand Up Paddle) Team. It is becoming apparent this is not just about learning to paddle and standing on a large board in the middle of the ocean! I am watching youth, who have unique learning abilities conquer fears, put aside behavioral issues, make changes in nutrition and lifestyles. Amanda was afraid of the deep canal water. Casey from Lazy Dog helped her overcome the fear! As these young adults experience the freedom of being on the water, without parents, teachers, therapists of others who control their lives— they are becoming confident to make choices, to speak up and to find out how to live more independent lives. They are becoming part of our island community and developing individual identities as athletes. I too am learning more about myself and how to ask for help. I am not an athlete, I am a teacher, planner and visionary. AND A VERY PASSIONATE WATER WOMAN! But in order to give these athletes what I have so freely received from the ocean, I need help from skilled paddlers. A BIG THANK YOU TO THE LAZY DOG PADDLE TEAM! Without these ladies, the history that is being made in Monroe County Special Olympics could not be happening. When I opened the current issue of the Standup Paddle Magazine, I cried, seeing the photo of our athletes. These young people are sharing the pages with legends, along with becoming legends in themselves! I realized that this has become bigger then Special Olympics—this SUP program has now become proof that this sport is for EVERYONE! I personally have had my life change due to the empowerment that paddling has given me. 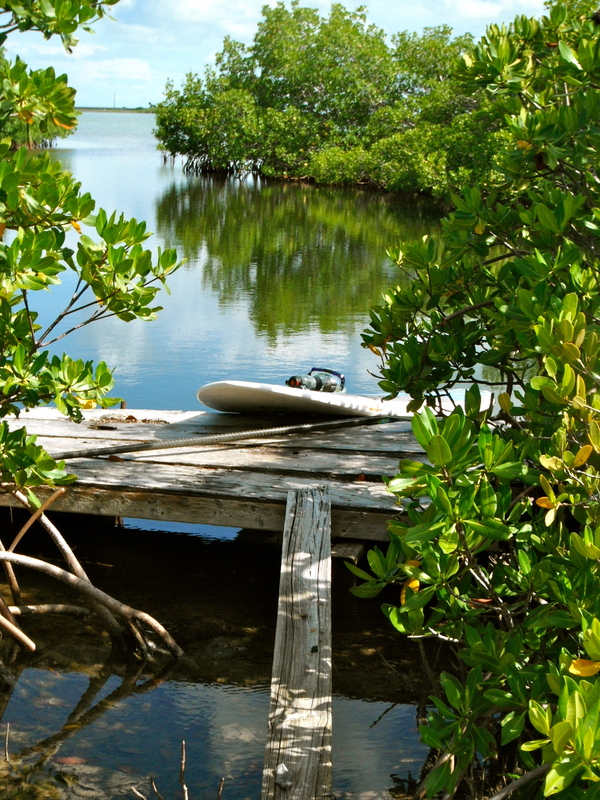 When I go out on the water, paddle along the edge of the ancient mangroves of the Keys, finding places to dock the board and walk onto the old road, I am connected to those that lived on these limestone islands long before my time. My spirit is fed. Walking from Old Road back to my board. Years ago, someone lived in this cove! 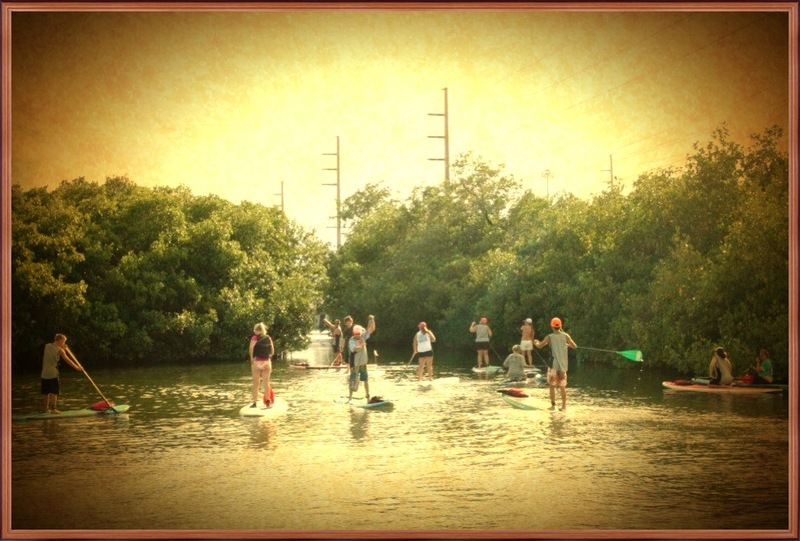 We are beginning the planning sessions for our First Annual SUP Invitational on Oct. 14, 2012. There is so much for me to learn about putting on an event. More will be revealed! It is humbling to have so many folks jumping in to help. Ultimate Athletics–Race promoter Bill Elkins is teaching me how to stay focused, work as a team in order and plan with the big goal in mind in order to have something that will become established annually. Lazy Dog-Race Trainers, Coaches and Board Suppliers—these ladies are teaching me to watch and listen, to slow down and not worry so much. YOLO— Donations and Raffle Items–Jeff and Mitzi Archer teach me to enjoy each moment and to live life to it’s fullest! 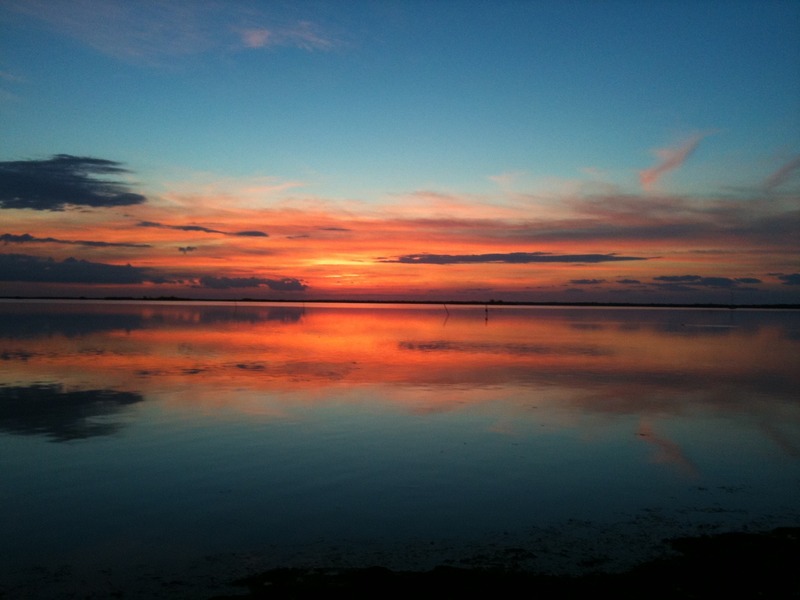 Key Largo Bicycle Tours,–Donations and Raffle items –My new friend Mark Terrell is teaching me to keep it simple and explore this paradise I live in. 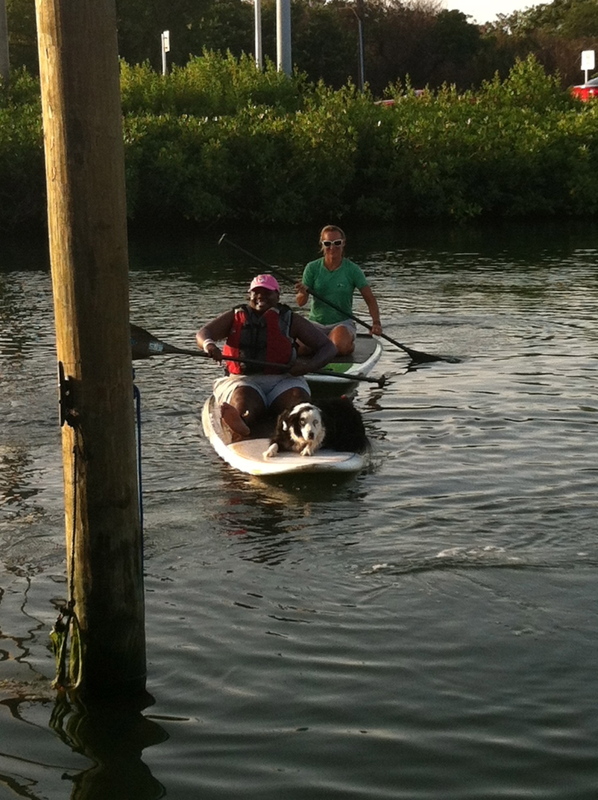 SUP Key West–Donations and Raffle Items—Megan is teaching me to slow down, that the journey IS the destination! Paddle The Florida Keys–Donations and Volunteers—My new friend Scott is teaching me that a leap of faith is all it takes. The focus of this event is providing competition opportunities for Special Olympics Athletes in the State of Florida at no charge, along with providing fun races for women, men and kids for a $25.00 registration fee to fund this First Annual SUP Invitational. Save the date –Oct. 14, 2012—we will have hotels offering discounted rates for that weekend–come hang out with some awesome people! We changed our clocks, moved forward one hour. Time is constantly changing on us. My reaction to that fact is not always positive. Nor do I value the time I have at the moment as I should. This moment is the only one I will ever have, it will never come back……so as we play with the clocks today, enjoy a bit more daylight in the evening, I strive to live in the current moment and enjoy it. Ignoring the thoughts of “when I lose 5 pounds….” “When it is summer we will….” “I should be doing….” and just choosing to be right NOW! Not when the laundry is done or when the house chores are done……..but to enjoy the time I have NOW! Me and my coffee mug on the front porch watching the palm trees blow and the sun come up. That is all that has to be accomplished now. This morning as I sit on my porch breathing in the salt air and sipping my coffee, I am very comfortable with who I am today, knowing that I will change and grow, the core of me will stay rooted in God, but my interests, hobbies, things I learn, things and people I like will change and that is ok. Life ebbs and flows like the tides around my island. Yesterday was a full day on the water, here are some pictures of the day. I love to paddleboard! As I wake up feeling the first brisk air of winter blowing across our island world, I decided to start this blog. This time of year brings reflection, subtle signs of fall and winter have been occurring, the sun shifts and its warm touch is dry, less humid and hot, light reflecting off the mangroves is bright and clear. There is something about this first cold snap that energizes the tropics. We go looking for socks, for long sleeves and pants……things that are pushed to the back of the drawers and closet, not thought about until we cannot find them! Air conditioners stop humming, doors and windows are thrown open, we breathe a collective sigh of relief that the dreaded “H” word has not touched us, we are home free! The end of Oct. and Fantasy Fest brings a sense of relaxation, comfort and peace. We can settle into Paradise, begin thinking about the Holiday vacation time, travel and visits with family off the island. The Lord has brought me through the summer without a high wind or raising water, He has given me a glorious place to live and a wonderful job (which I consider a calling) all is well on the front porch of my island home today!